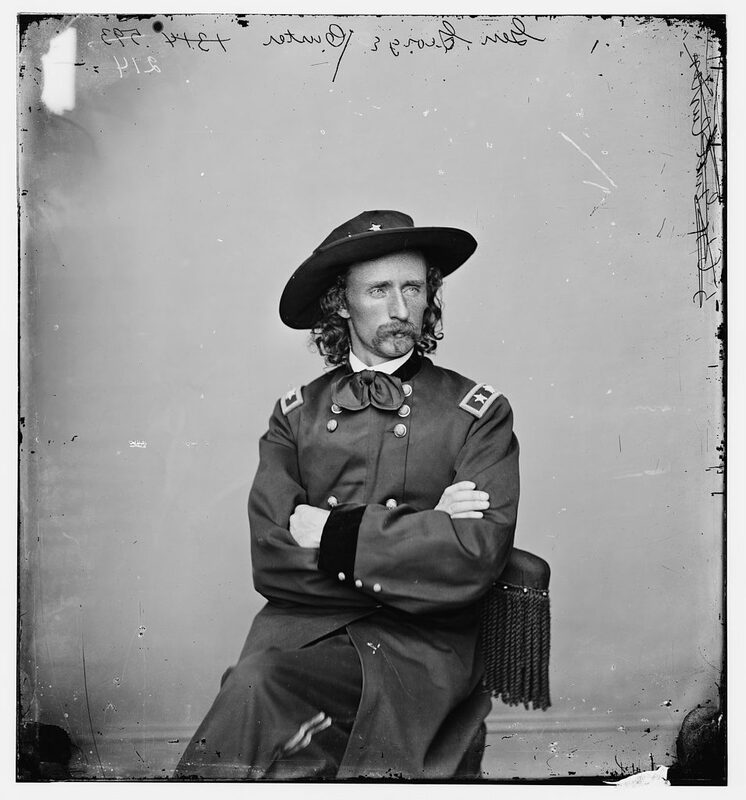 Union cavalry under the command of George A. Custer captured Confederate supplies at Appomattox Station. This portrait was taken in May of 1865, one month after the Battle of Appomattox Station. The Union victory at the Battle of Appomattox Station denied access to vitally needed provisions, to the Army of Northern Virginia. The Union victory at the Battle of Appomattox Station secured the Richmond-Lynchburg Stage Road, along with the high ground west of Appomattox Court House, squarely across Lee’s line of retreat.